Sorry it’s been so long. We really are going to try and get better at posting, I promise. It’s just that blogging takes a while and sometimes life just gets in the way. Between jobs, and second jobs, and training, and cooking, and trying to find time to be social so that you don’t become a crazy cat lady (not that I own a cat, but I could), it can be hard to find time to sit down and write a blog post. And before you know it, three months have gone by and you realize you haven’t posted and you feel like a slacker and you’re letting the world down because obviously everyone is holding their breath waiting to see what average2athete has to say next. Right? I can’t help but think this series of excuses sounds familiar. How often do people tell me that they want to start working out but they don’t have time? Or that they’re going to start once work gets less crazy, or once they finish exams, or once they’re done moving? The list goes on. My point is, there will ALWAYS be something in the way, but if something is important to you, then you will make time for it. And if it’s not important, then you won’t. It’s an adjustment, sure. But if you really want to get healthy, you HAVE to make time. There’s just no other way around it. I’ll give you a personal example. 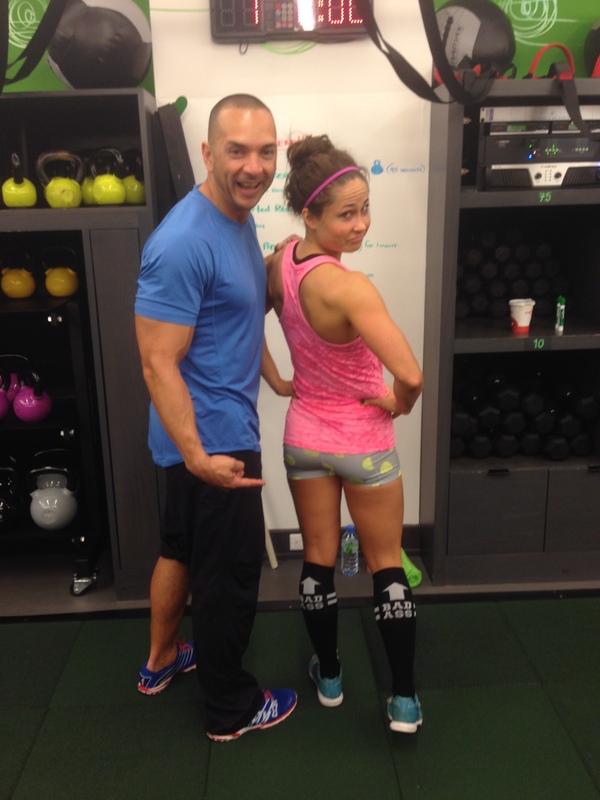 A few months ago, I started teaching fitness classes at a studio called the Fhitting Room here in NYC. I absolutely love it. Not only has it given me a chance to share my passion for fitness with others, but it’s given me the opportunity to meet and learn from some pretty awesome people. However, as much as I love teaching, taking on a second job did interrupt my perfectly regimented schedule of getting up and working out first thing in the morning. Since I primarily teach early morning classes, I started having to find time to work out at night after work, and then I wouldn’t be able to fall asleep, and I’d be exhausted the next day after having to get up early to teach class. My workouts started to suffer, which was no bueno. I needed to figure something out. I knew that my schedule wasn’t going to get any better, so I had to make some adjustments. I started getting up even earlier in the morning so that I could work out before teaching. Or, if I was teaching a really early class, I’d plan a shorter workout that I could squeeze it in after before heading off to work. Sometimes I still brave the gym at night. It’s not a perfect schedule, but I make it work the best I can. That’s probably more insight into my schedule than you could possibly have wanted. My point is, we are busy people. Life happens. 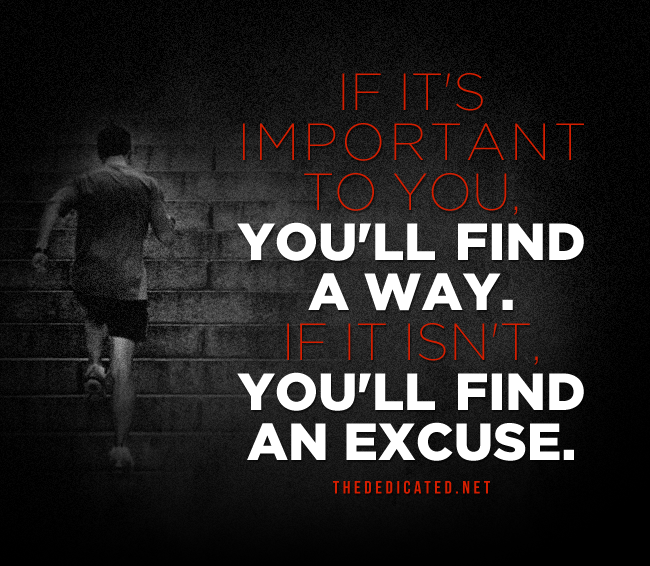 There are always excuses. I’m even going to provide you with an overused inspirational quote to emphasize my point. And I’m going to try and take some of my own advice and make it a priority to blog more often. And if I don’t, feel free to call me out on it. As always, I’ll leave you with a recipe so that you can take away something of value from this post. Actually, that’s a lie. 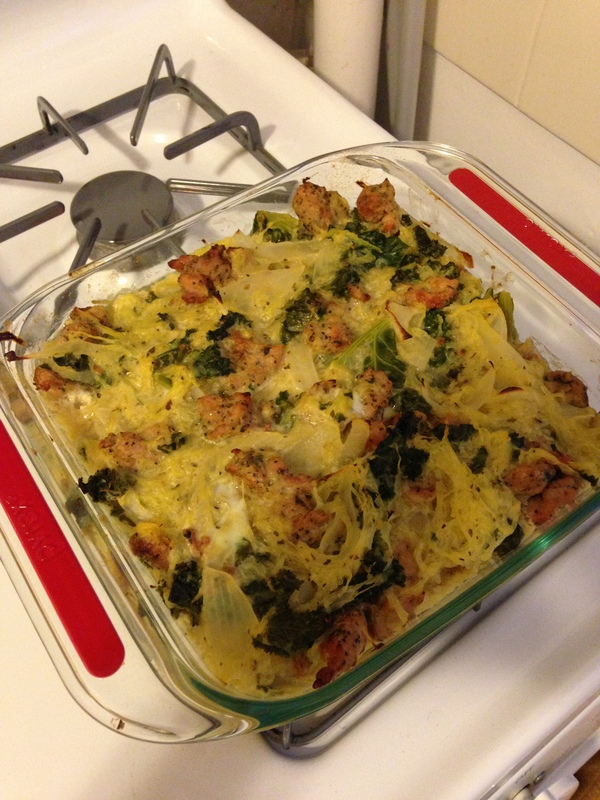 I’m going to be lazy and give you a link to a delicious recipe for Sausage Spaghetti Squash Bake from PaleOMG that I made the other week. I modified and used chicken sausage, but you could use any meat really. Or scrap the meat and make it vegetarian. The best part was, it was super easy to make and still delicious after a few days. Meal prep win.